MixedCandy gets fandom’s current highest auction price at The Dealer’s Den. Congrats to MixedCandy for their successful auction. One of the fandom’s highest-powered creative stars has also raised attention for The Dealer’s Den, an online marketplace for this special niche. This new record price was set 6 months after the previous one: $13,500 for a commission slot by Made Fur You, sold on The Dealer’s Den with 82 bids on 1/29/18. 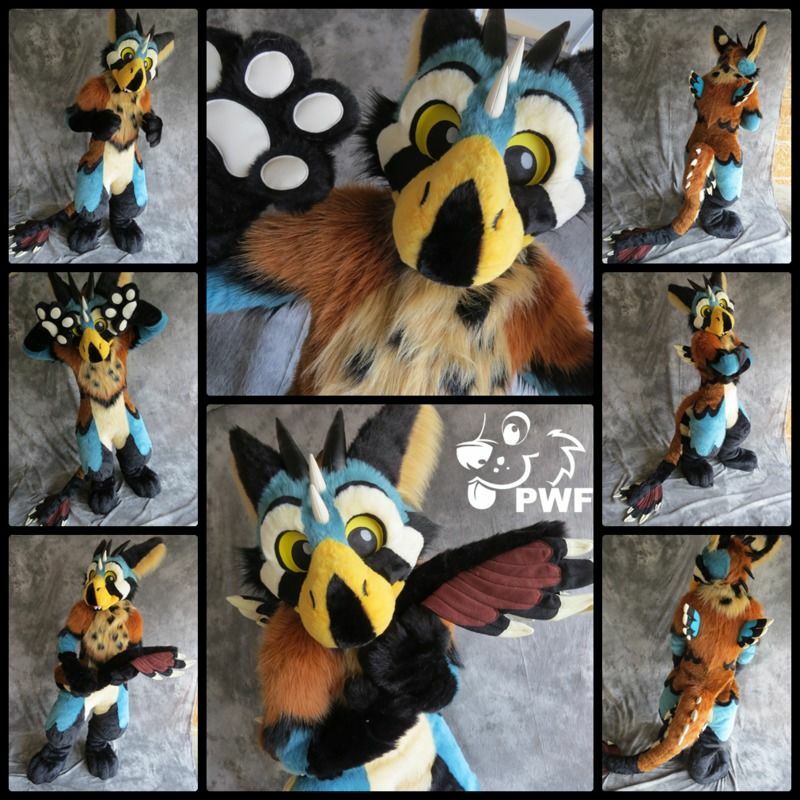 It was preceded by a record that stood for 3 years: $11,575 for Sniper Angeldragon by PhoenixWolf, sold on Furbuy with 187 bids on 2/14/15. A few years ago, The Dealer’s Den looked like more or less a ghost town when I looked at its activity. Change of ownership to Vitai Slade brought healthy growth. It now roughly compares to the much longer established Furbuy, offering more options to the fandom. Both are free to use. At time of posting, both have around 350-500 active auctions and 1800 Twitter followers. The Dealer’s Den also has a Telegram group of 3,000 users advertising their goods, while Furbuy is doing in-person promotion with con panels and flyering. I’ve personally had good experiences with both. A look at this auction and why it matters. “Angel Dragon” set a new record for known fursuit auctions. The $11,575 sale on Furbuy beat the recent record of $8,025 for Lavender Corgi, sold on 10/11/14. Ursa Major Awards nominations close on February 28. “Angel Dragon” fursuit sets new auction price record of $11,575.